The Flying Kangaroo will soon become the Flying Penguin. 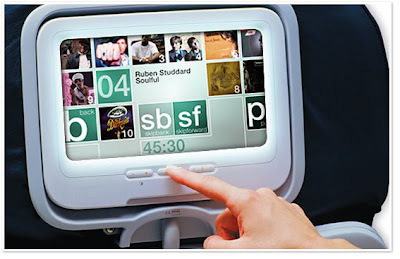 Qantas Airways, Australia's flag carrier, will use Linux-powered in-flight entertainment (IFE) systems from Panasonic. The latest Panasonic eX2 will be deployed to some of its jumbo jets including the B787 "Dreamline", B767-300, B737-800, and the Airbus A380 "Superjumbo", currently the world's largest passenger airliner. The eX2 IFE systems are designed for installation in seatbacks or consoles, with screens ranging in size from seven inches to 23 inches. These systems have 1GB of local flash storage from which Linux boots. Panasonic eX2 uses fiber channel backbones to deliver audios, videos, and internet connectivity to passengers. 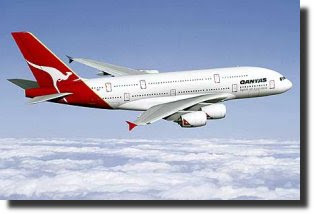 Qantas is not and will not be the only major airline to use the Linux-powered eX2. Singapore Airlines is already carrying the eX2 on its A380s, B747 and B777 jumbo jets. Emirates Airline will also soon have eX2 on its A380 aircraft. It is said, two-thirds of the carriers who have placed orders for A380 aircraft will be using the eX2 IFE. Linux will definitely be soaring high with the success of Panasonic eX2 in-flight entertainment system. This only proves that Linux is far stable, secure, and efficient than any other operating system available. "Interference from passengers' laptops interfered with the plane's systems!" (how, when all the plane's data cables are heavily shielded?). Next they'll blame the Linux-based entertainment system for one of the wings falling off or something.